Behenyl alcohol functions as an opacifying ingredient, thickener, emollient, and emulsifier in cosmetics and personal care products. Behenyl alcohol, also known as docosanol, is a saturated fatty alcohol with 22 carbons. Fatty alcohols are high molecular weight, straight chain primary alcohols derived from natural fats and oils. Behenyl alcohol is derived from vegetable sources (i.e. corn), but it can also be synthetically produced. Behenyl alcohol is primarily used in face/body lotions and creams, but can also be found in deodorant, lipstick, foundation, and hair care products. In addition to use in the cosmetic industry, behenyl alcohol is available as a nutritional supplement and a pharmaceutical antiviral agent. In the OTC cold sore medication Abreva, docosanol has been shown to reduce the duration of cold sores caused by herpes simplex virus. In cosmetic and skin care formulations, behenyl alcohol functions as an opacifying ingredient, thickener, emollient, and emulsifier. 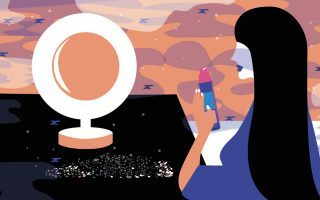 As an opacifying agent and a thickener, behenyl alcohol can be added to clear or transparent cosmetic formulations to render them more resistant to visible light. Its thickening property allows products to achieve a more desirable, spreadable texture. Thus, manufacturers will add behenyl alcohol to formulations to create a thick, smooth, and creamy product. 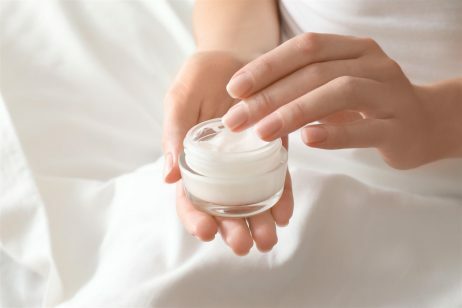 Behenyl alcohol is used as an emollient in cosmetic formulations because of its ability to soften and soothe the skin. After topical application, behenyl alcohol forms a protective layer on the skin that helps to prevent moisture loss. Plus, behenyl alcohol does not leave a greasy feel after application like other emollients can. Similarly, behenyl alcohol functions as an emollient in hair care products, working to increase the hair’s moisture content and improve manageability. Behenyl alcohol can also provide slip to hair conditioners which allows you to detangle your hair better. Another function of behenyl alcohol is as an emulsifier, which is necessary for products that contain both water and oil components. When water and oil are mixed together and vigorously shaken, a dispersion of oil droplets in water – and vice versa – is formed. When shaking stops, however, the two phases start to separate. An emulsifier like behenyl alcohol can be added to the system to help the droplets remain dispersed. This improves the consistency of a product, which enables an even distribution of topical skin care benefits. As an emulsifier, behenyl alcohol consists of a water-loving hydrophilic head and an oil-loving hydrophobic tail. The hydrophilic head is directed to the aqueous phase and the hydrophobic tail to the oil phase. Behenyl alcohol reduces the surface tension by positioning itself at the oil/water or air/water interface, which has a stabilizing effect on the emulsion. The safety of behenyl alcohol has been assessed by the Cosmetic Ingredient Review (CIR) Expert Panel. The CIR Expert Panel evaluated the scientific data and concluded that behenyl alcohol is safe for use in cosmetics and personal care products. In 2005, the Panel considered available new data on behenyl alcohol and the other fatty alcohols and reaffirmed the above conclusion. The toxicological data for the five long-chain aliphatic alcohols included in the report (behenyl alcohol, cetearyl alcohol, cetyl alcohol, isostearyl alcohol, myristyl alcohol) revealed no significant toxicity. Cosmetic formulations containing these fatty alcohols were not dermal irritants or sensitizers. According to EWG, behenyl alcohol is rated as a 1 on a scale of 1 to 10, with 1 being the lowest risk to health and 10 being the highest. Due to its name, behenyl alcohol is often misunderstood to be bad for the skin since it is an alcohol. But it turns out that not all alcohols are created equal. It is true that some alcohols, like ethyl or rubbing alcohol, can be extremely drying to the skin. However, quite the opposite is true for behenyl alcohol, which is well known to effectively condition and soften the skin and hair. References: Wikipedia, “Docosanol”, Wikipedia, “Fatty alcohol”, Truth In Aging, “Behenyl Alcohol”, Cosmetics Info, “Behenyl Alcohol”, L’Oreal Paris, “Behenyl Alcohol”, EFEMA, “What is an emulsifier?”, Essence, “Super Natural: MahoganyCurls On Alcohol In Natural Hair Products” 2014, EWG’s Skin Deep Cosmetics Database, “Behenyl Alcohol”.